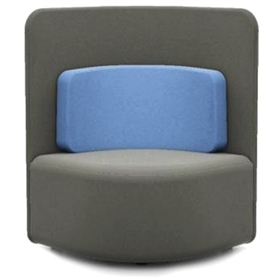 Based around one simple unit, Shuffle can be used for all current office functions associated with soft upholstery such as touchdown and breakout areas, meeting spaces and partitioning. Please do contact us if you would like a two-tone upholstery. Otherwise both the chairs and cushions will be of the same fabric.